Garage door style is defined by panel construction and design. 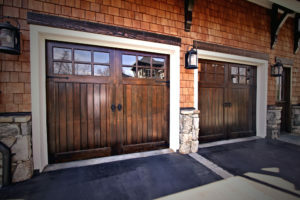 Choose wooden garage doors in their natural tone and you bring traditionalism to your home’s exterior. Opt for glass doors and you bring a contemporary sleek style to your front yard. But the panel design is not the same either. You might see a white overhead garage door from afar but when you come closer, you are able to notice the distinctive character of the panel.